Which One Will You Choose for FTTx? PON or AON? When it comes to FTTx deployment, there are two competing network solutions which are PON (Passive Optical Network) and AON (Active Optical Network). What is the difference between them? And which one will you choose? PON or AON? You may find the answer from the following contents. A PON consists of an optical line terminator (OLT) located at the Central Office (CO) and a set of associated optical network terminals (ONT) to terminate the fiber–usually located at the customer’s premise. Both devices require power. Instead of using powered electronics in the outside plant, PON uses passive splitters and couplers to divide up the bandwidth among the end users–typically 32 over a maximum distance of 10-20km. An active optical system uses electrically powered switching equipment to manage signal distribution and direct signals to specific customers. This switch opens and closes in various ways to direct the incoming and outgoing signals to the proper place. Thus, a subscriber can have a dedicated fiber running to his or her house. Active networks can serve a virtually unlimited number of subscribers over an 80km distance. Advantages PON has some distinct advantages. It’s efficient, in that each fiber optic strand can serve up to 32 users. Compared to AON, PON has a lower building cost and lower maintenance costs. Because there are few moving or electrical parts and things don’t easily go wrong in a PON. Disadvantages PON also has some disadvantages. One of the biggest disadvantages is that these splitters have no intelligence, and therefore cannot be managed. Then you can’t check for problems cost-effectively when a service outage occurs. Another major disadvantage is its inflexibility. If one needs to re-design the network or pull a new strand of fiber from the upstream splitter, all downstream customers must come offline for changing the splitter in the network. At last, since PONs are shared networks, every subscriber gets the same bandwidth. So data transmission speed may slow down during peak usage times. Advantages AON offers some advantages, as well. First, its reliance on Ethernet technology makes interoperability among vendors easy. Subscribers can select hardware that delivers an appropriate data transmission rate and scale up as their needs increase without having to restructure the network. Second, it’s about the distance. An active network has the distance limitation of 80 km regardless of the number of subscribers being served. At last, there are some other advantages like high flexibility for deploying different services to residential and business customers, and low subscriber cost. Disadvantages Like PON, AON also has its weaknesses. It needs at least one switch aggregator for every 48 subscribers. Because it requires power, AON inherently is less reliable than PON. From the above contents, you can find that both technologies have its advantages and disadvantages. 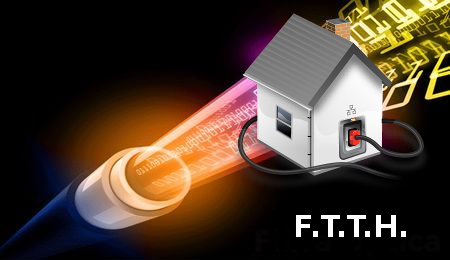 In some cases, FTTx systems actually combine elements of both passive and active architectures to form a hybrid system. Thus, to decide which technology to deploy, you should consider your own unique circumstances. This entry was posted in Uncategorized and tagged AON, FTTx, PON on December 9, 2015 by Laura Yu. This entry was posted in Bulk Fiber Cables and tagged fiber pair, FTTH on December 1, 2015 by Laura Yu.